And indeed they do nicely summarize all the different versions on one page. Photoshop CS6 – The latest-and-greatest “flagship” (or regular/standard) version of the breakthrough industry-standard tool – the world’s leading pixel manipulation program. Photoshop Elements 11 – A scaled-down, simpler version for hobbyists and home market, with fewer features, functions, and options – it offers “elements” of the full program. Photoshop Lightroom 4 – Not really “photoshop” or a pixel-level editor at all, but rather a non-destructive image workflow system for serious and pro photographers. 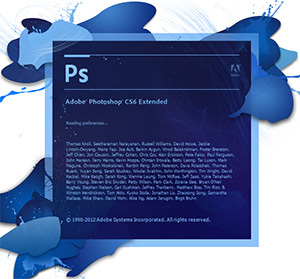 Photoshop CS6 Extended – The “top of the line” product with everything: Photoshop CS6 plus the ability to create and edit 3D content, as well as image analysis. That captures the essence, and we have detailed in-depth comparisons below. But if just from reading that you’re unsure which one is right for you, Adobe offers free trial downloads of all four editions which are fully-functional for 30 days. So you can get any one (or multiple, or all) for tryout to see which work(s) best. But it’s not “either/or” – many customers actually end up buying two of these: Lightroom together with one of the CS6 editions (or Elements) – they are complemen­tary and integrated to work well together, in fact Adobe offers a 30% discount when those products are purchased at the same time. All four products are available for both Windows PC and Mac OS – and in fact all of them can be run on both platforms, with the ability to install on up to two computers for each tool. If you own a previous release of the same product, then you may qualify for the Upgrade version which costs less ($US79 for Elements, US$199 for Photoshop CS, and US$79 for Lightroom), otherwise you’d get the Full version. Importantly, note that in almost all of Adobe’s suites, and in all of Adobe’s lower-priced education versions for students & teachers, the edition of Photoshop is Extended. That’s a good thing. What’s more, the video editing and motion-based content capabilities that used to be “Extended-only” features in Photoshop CS5 and prior have now been included in the standard version of Photoshop starting with CS6. That’s another good thing. For the other three editions (Photoshop CS6 vs. Lightroom 4 vs. PSE 11): What are some of the features in one version but not the other(s), or unique to each? As mentioned earlier, most would say that Photoshop Elements 11 is a stripped-down version of the full Photoshop CS6 with significantly fewer features, options, and controls. On the other hand, PSE is targeted towards the consumer market and Adobe has designed it to be easier to get started with and learn to use. That said, because Photoshop Elements is meant for home use, there are some features it contains that Photoshop CS6 does not have – for example, templates for photo books, slideshows, greeting cards, email, print calendars, scrapbook pages, keepsakes, and online albums, as well as drop-in frames, backgrounds, and artwork, plus online sharing options for Facebook, Flickr, etc. Elements now also provides the ability to view/place photos on a map, or search images by certain objects or people, and offers more user assistance through aspects like Guided Edits and shortcuts like Quick Fix mode, Photomerge, the Smart Brush tool, and Cookie Cutter tool. For keeping track of images, Photoshop Elements includes the Organizer to manage photos and videos, which is considered to be simpler but slower than the Bridge media browser that comes with Photoshop CS6. However, most users feel that Lightroom’s smooth library and cataloging functions are superior to both, and especially better and faster when you have a large number of images. Note that for students and teachers, Adobe gives a much bigger discount on Photoshop Extended (75% off the regular price) than on Photoshop Elements (only 20% off). So, how is Lightroom different from all of the above? 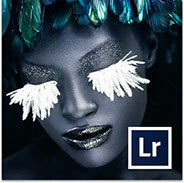 Lightroom 4 an intuitive digital darkroom and efficient assistant designed for advanced amateur and professional photographers. LR4 lets you manage, edit, and showcase all your photographs – and do it quickly, powerfully, smoothly. It’s a complete photo and data management solution that was built from the ground up by Adobe to streamline workflow productivity for photographers. Lightroom has the library and cataloging functions to work with a large collection of images easily and process them rapidly in groups or batches, with fluid interface and a sophis­ticated database for very fast search, keyword tagging, and previewing functions – even when your image files aren’t accessible on your computer. It has built-in RAW processing (also works with .JPEG, .TIFF, and .PSD images) and can make correc­tions based upon the camera and lenses you use. LR has terrific tools for “developing” like correcting exposure, adjusting tone, lighting, white balance, contrast, color, satura­tion, lens calibration, sharpening, and noise reduction, which are state-of-the-art. It’s a snap to make bulk changes to a big set of photos, including adding a copyright notice, watermark, or contact information. There’s also a local adjustment brush to enhance specific areas of an image using dodging and burning, graduated filters, and so on. And all of it is nondestructive, meaning you can go back and simply undo or redo changes to any image at any time, even years later, without loss of quality. This is much like film, where photographers can always return to their original negative – whereas in standard Photoshop, once you change and save an object, you permanently change the pixels. Lightroom is not for performing detailed raster-level editing, creating images from scratch, compositing multiple images (like panoramas or collages), using layers, adding text (except watermarking), drawing shapes, editing objects out of a photos, complex cloning & healing, content-aware tools, prepress work, or many of the other capa­bilities Photoshop has. However, many thousands of serious photo­graphers use Lightroom very efficiently every day for 90% of their needs, and then pop out to tightly-integrated Photoshop for the rest (retouching and post-processing). Lightroom is an end-to-end digital photography solution so it also includes features to make collections of your work and showcase it in customized print layouts, slide shows, and web galleries, and its extensible architecture easily enables you to transfer images to your favorite sharing sites and photo labs. And in Lightroom 4, new features were added such as soft-proofing, photo book creation, location-based organization, and extended video support. So if you want the photographer’s workflow to manage thousands of images with ease then you’re talking about Lightroom, but you want to perfect a single image with the “gold standard” professional editing & finishing tool then you’re talking about Photoshop. The two products complement each other and together comprise a complete image processing system. Adobe has an excellent FAQ on Lightroom and more on the differences between other tools. This short video answers the question “What is Lightroom?” for new users of the product. Lightroom unites your digital photography essentials in one fast and intuitive package and gets you there with the tools you need to create great images, manage all your photographs, and showcase them with style and impact. Interestingly, all products in the Photoshop family share the same underlying image processing technology to ensure consistent and compatible results across applications that support raw processing. This is called the Adobe Camera Raw (ACR) plug-in and it’s packaged in with Photoshop CS, Photoshop Elements, and Lightroom. This is the interface where support for new camera models and lens profiles is added, so Adobe updates this plugin on a regular basis (about every 3-4 months). 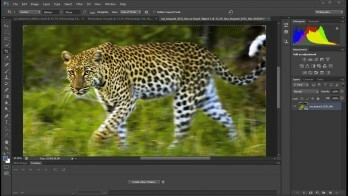 You can get access down to the powerful ACR features from within Photoshop CS or Photo­shop Elements (although the Camera Raw in Elements is significantly scaled down with fewer controls and options), while Lightroom essentially takes Camera Raw and centers a full-featured application around it with all the streamlined workflow and cataloging benefits described above. Have any other questions about the differences between these Photoshop products? Just ask them below and we’ll answer! I am a Business / Computer Applications instructor at a Colorado High School. We have used CS5 in the past to teach the computer graphics portion of our Computer Applications class. However, we only have 5 CS5 licenses – and 18-20 students. That said, we need to get additional Adobe software in order to be able to meet the needs of our students. The Adobe Cloud (even with the educational discounts) is not an option because at $30 / student / month we are looking at an annual cost of $5,400…………there is no way our budget can sustain that. Greetings Trina, apologies for the delay in response. You see many of the differences between the full Photoshop vs. PS Elements above on this page, and there have been more new features added in Photoshop CC that are not in any version of Elements. Another point is that Photoshop CC (and/or CS6) is the professional release in use by major companies worldwide; it’s the industry standard that most job candidates would like to have on their resumés. So with all that in mind, and based on your own knowledge of PSE, only you can make that final decision. Photoshop Elements could be used to teach the basics, and there are free video tutorials and free e-books available for it as well. But there are still more resources available for Photoshop CS6 and beyond: hours of online tutorials, free downloadable ebooks, and even hundreds of pages of free training courses already out. With that route, you should be able to get an education discount on Photoshop CS6 Extended, or 65% off the regular price. I recently purchased Photoshop CS6 Extended and am reviewing the tutorials online. They make reference to opening the ‘Exercise Files or Workshop Files’ to follow along with the tutorial. Where do I find these exercise or workshop files to practice in…??? Not sure Grace, where are you watching them? The training provider will typically provide those sample/exercise files… If not, can you give more details? The 30+ Hours Free Online Adobe CS6 Tutorials is what I have been watching. It was in the Layers section where they made reference to the working files. It said working files can be found in the Working Files folder. Then the trainer suggests (for example) to open up (in the exercise files) Layers and Groups. Are these files a part of the Photoshop program which I have purchased? If so where can I find them. If not then where do I need to go to find them? Ah, yes – those… You aren’t the first to wonder that. Sorry to say those practice files aren’t included with Photoshop itself, nor are they anywhere on Adobe’s pages either… However, here is the complete answer. Introducing the new Photoshop Photography Program: Photoshop CC + Lightroom 5 + Behance + Cloud + more for $10 a month! I am looking for the ability to manipulate, stretch and or change pictures from a standard size to a long thin version ie: 1′ x 8 1/2″. I will also need to Pump up the colors in some instances. what product do you reccomend? You will get more power, control, and options with the full Photoshop than with Elements, but either will do the basic function. Thanks for the helpful comparison between Photoshop vs. Elements. I had one question. Do the more recent versions of Photoshop Elements have higher support for 16 bit images? Or does PSE 14 remain the same as prior releases? Hello Will, thanks for your question. The answer is that Photoshop Elements has been very gradually creeping towards 16-bit image editing, but you still can’t do layers or some of the filters in 16 bits – so if that’s what you’re looking for, then the answer remains the same with PSE 14. You can apply things like sharpening and levels to a 16-bit file, but overall there’s not a great deal of difference vs. older versions besides a few more filters working. Of course, the the full Photoshop CC 2015 desktop release does everything and is now offered in Adobe’s new Photoshop + Lightroom Plan. Those products used to cost over $1,000 upfront to buy but are now available for US$9.99/mo. with ongoing upgrades included. Free trials are also downloadable here. Hi there, I recently purchased photoshop for my son who is studying 3D Art and animation so he can keep working (and improving) from home. I did not open the sealed sleeves in which the DVDs are packed. The problem I have is I was not aware there were more than one type of Photoshop and I ended up buying Elements 15, whereas I now realize from this blog that I should have gotten CS6 Extended. Is there a way to ship the elements 15 back or given it is software there is absolutely no chance in the world the vendor will accept an exchange? I bought it less than two weeks ago on Amazon. Any suggestion you can provide will be muchly appreciated. Greetings Maude, for that you would have to check Amazon’s Return Policy – it’s possible they may accept it back, especially if it’s unopened. Also the returns period is usually extended around the holidays. For purchases made direct from Adobe instead, their Refund Policy is here. Note that Adobe gives refunds even if their package is opened or if the software is installed or used. Regarding purchasing CS6 Extended instead – please note that is a pretty old version now. Adobe stopped selling Creative Suite 6 standalone on their website last year. The reason is because CS6 is over 4 years old now (from spring 2012) and increasingly unsupported; they stopped releasing updates for it last summer as the newer CC rapidly grew and took over. What’s replaced CS6 is Photoshop CC instead, which is considered a much better tool. With CC all ongoing upgrades, compatibility updates and product additions are always included – so becoming obsolete will never happen. The monthly payments are also more budget-friendly in the new model than in the old CS model – where the software used to cost many hundreds or often thousands of dollars upfront, and never evolved. Thank you for this. Very useful. Can you direct me to proper URL to subscribe to the CC online version (we are in Canada). Long time, no post from me :). I’m just wondering if there is an updated post that would explain the difference between the latest version of Photoshop Elements (version 2018, I think) and the bigger brother Photoshop CC (2018, I think as well)? Hey Daniel, good to see you back! That’s a great idea, as the post above could benefit from updating to the latest releases… The general framework of the differences between Photoshop CC (2018) vs. Photoshop Elements (2018) remains the same, but of course there are new features in each product since this article was originally written. Thanks, we’ll put it on the list! Is there a photoshop product that will turn a photo into a paint by number that can be printed onto a canvas and then painted by hand? Although, this might be easier using Adobe Illustrator with its “Image Trace” feature.